The Law Offices of Rosenberg, Eisenberg & Associates is a law firm with offices in Arlington Heights and Stockton, Illinois. Their attorneys have represented injured clients for nearly 40 years. 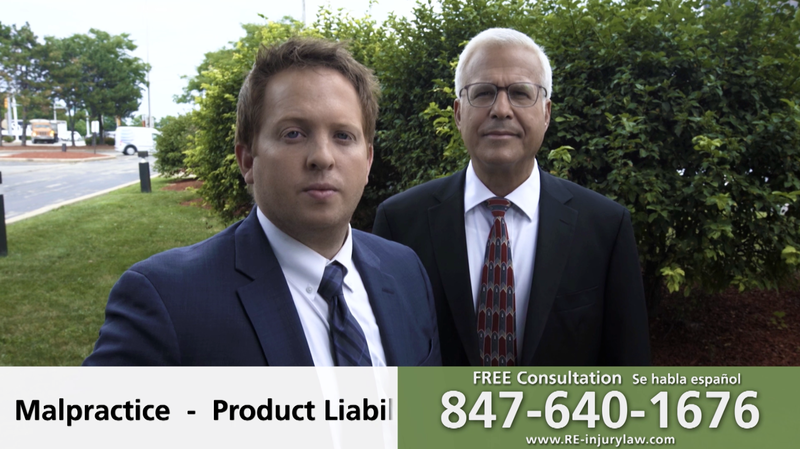 We were hired to produce a Comcast cable television commercial for the law firm. We worked with them to identify content and a storyline for the video. For their commercial, we opted to go with an interview style approach. The firm has a great story and you can hear from their own words, the care and concern they have for each of their clients. We wanted that to come across in this cable television commercial. We filmed for one day at their Arlington Heights office with a makeup artist, Director of Photography, sound technician, and Grip. The cable television commercial was converted to Comcast broadcast specs and captioned for hearing impaired audiences. The video aired in various targeted Comcast markets, on the law firm’s social media channels, and website. Spot-It.com is a website that connects sellers with buyers. If someone drives by a Spot-It.com sign, they can pull up the listing and learn more about what is being sold. For this video production, we were to produce a video that would appear on the website’s homepage. The video would have no sound and would loop in the website’s banner as viewers visited the website. We cast various actors and locations where we could show how the online service is used. Everything was filmed in one day in Palatine and Chicago with our Sony A7Sii video camera and 3-axis gimbal stabilizer. In all, field video production, post production, and delivery took place within a week. The final video was delivered in various formats for optimal web streaming on various platforms.